Data-driven & scientifically validated methodologies are used to evaluate candidates, organize teams, and develop skills for employees, giving management unprecedented confidence and accuracy when hiring. After all, your employees are the ones who make you successful! Invest in them, and they’ll return the favor. What if you could peek inside an applicant’s brain to see how they are hardwired? Wouldn’t you like to know their work ethic, preferences, and style prior to making your decision, in order to make the best possible choice? Of course you would. The Predictive Index® (PI) system is the cornerstone of Premier Rapport’s proven methodology of integrating data, technology, knowledge, and expertise. Leverage our knowledge, skills, and experience for your company by analyzing, aligning, and optimizing your individuals, teams, and leaders. 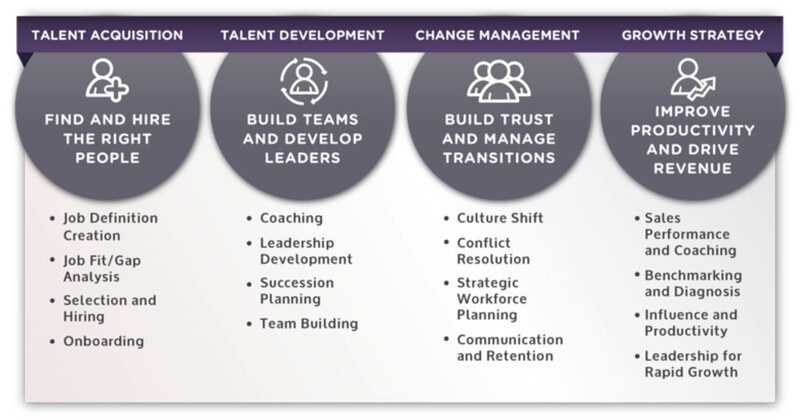 Using behavioral and skill-set data combined with analytics and business expertise, high-performing companies are using PI® to find, place, and develop their workforce and leadership teams. By placing the right personalities and skills in the right seats, everyone is naturally suited to succeed. Practical, quick, and easy-to-use, the Predictive Index (PI®) is a useful tool for gathering employee insights. The assessment lasts approximately 10 minutes and provides immediate results for interpretation. Scientific, professional, free of bias, and reliable, the PI® was designed to help employers comply with their obligations under the EEOC’s Uniform Guidelines on Employee Selection Procedures. Widely across all industries, jobs, levels, company sizes, growth trajectories, and business models, the PI® is available online in 68 languages, and is used in more than 140 countries. The PI® is based on an annual investment basis, reflecting the client’s size and making it extremely flexible and scalable. The PI® system is built on a model of self-sufficiency rather than per-click, or consultant dependency. Consider it an investment in your company’s future. Predictive Index (PI) Demonstration. Simply fill out your information below and we will schedule an appointment for a personalized demonstration. If you wish to speak to someone right away, please call us at (757) 897-8644. We'll send you a link so you may immediately download them.